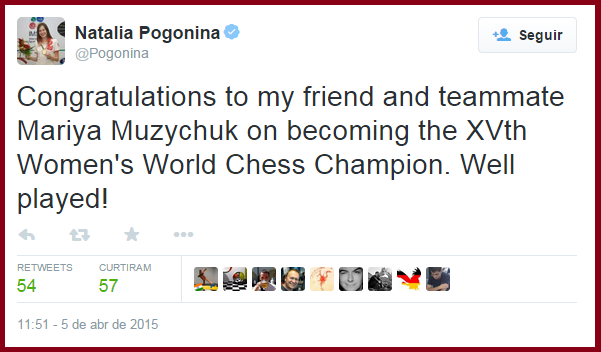 We can now expect a title-match between Hou Yifan and Mariya sometime in the near future. 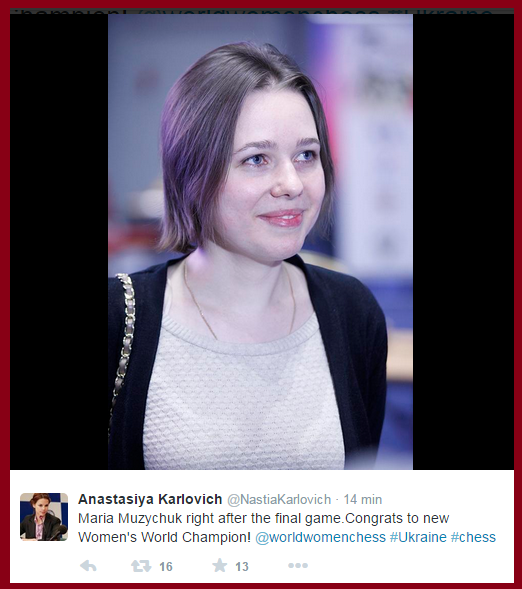 Women’s chess is taking on a LIFE all its own…Sochi proved to be one of the most widely watched chess events ever (online) and at times out did such super tournaments as Tata and Gibraltar! 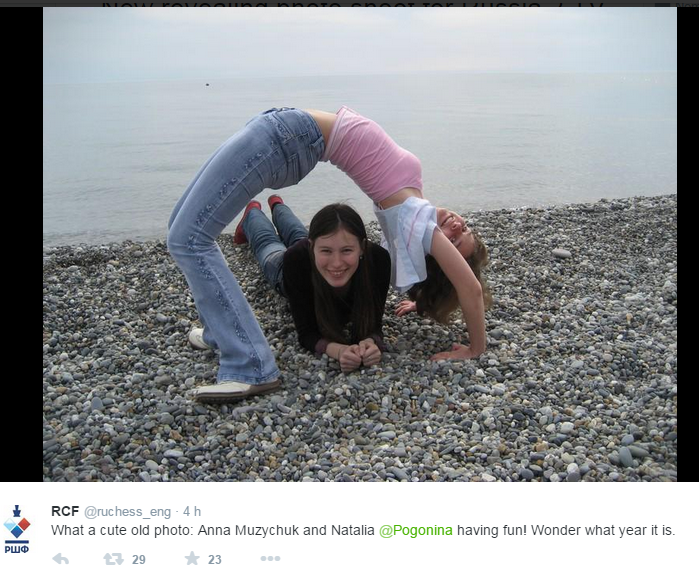 And special recognition must go to Natalia Pogonina who single handedly created most of this world wide interest! If it were not for her ‘COME BACK’ magic, Sochi might have simply been overlooked! BRAVO, Natalia! READ Antonio Fernandes wins again! China wins Olympiad for 1st time! Next story Today’s winning ray of SUNSHINE!